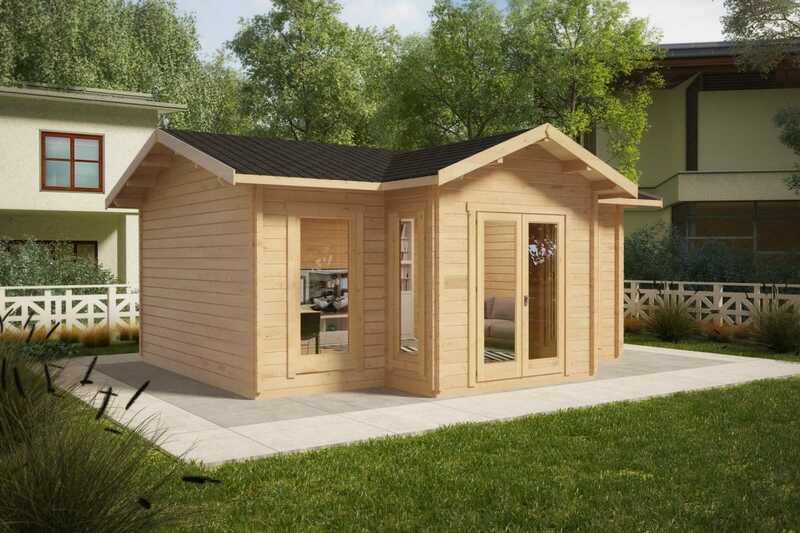 The Eamon cabin is a great choice if you are looking for a very sturdy, stable and long lasting garden room. 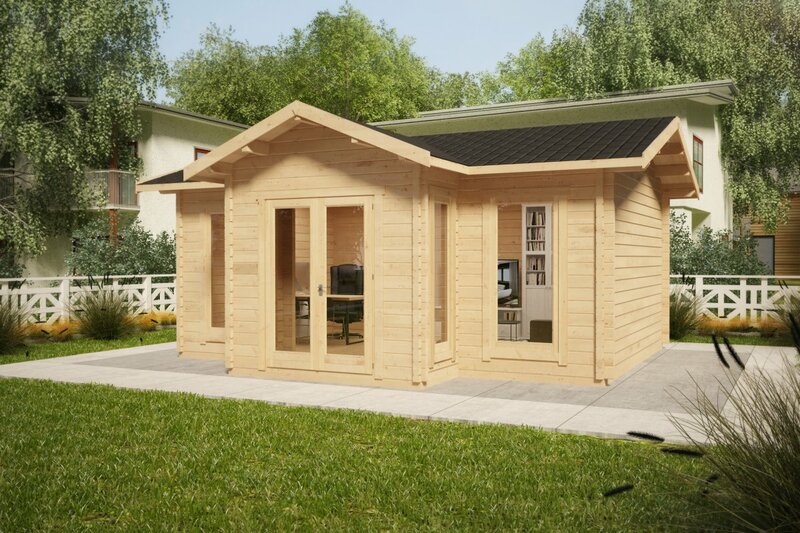 This 25m2 garden log cabin comes with massive 58mm walls, extra thick 28mm floor boards and double glazing in windows and doors. 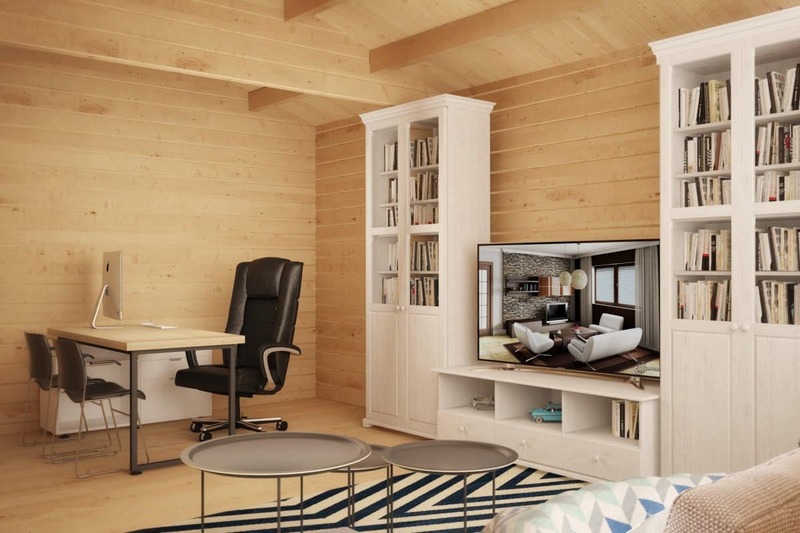 Thick planks, interlocking with each other using double tongue and groove joints, make the cabin walls wind proof and minimize the impact of the outside temperature. Additional floor and roof insulation extend its period of use to 8-9 months a year and only a small heater is required to use it all year round. 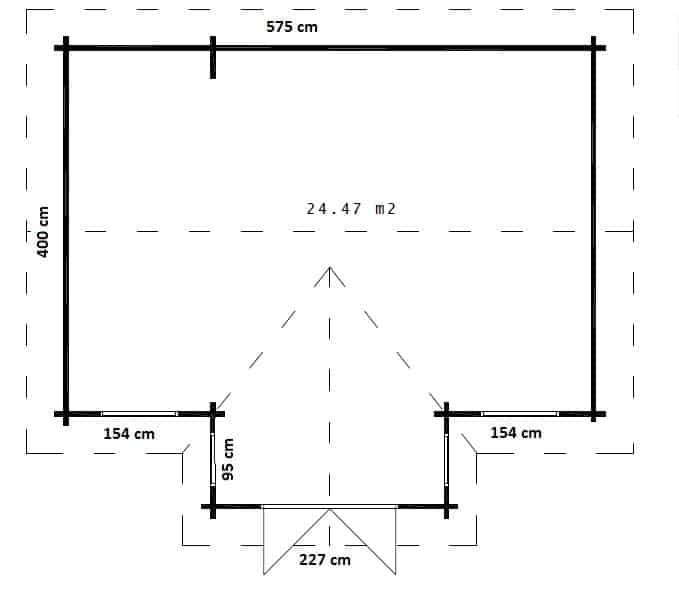 Roof: Ca 36 m², 18 mm. 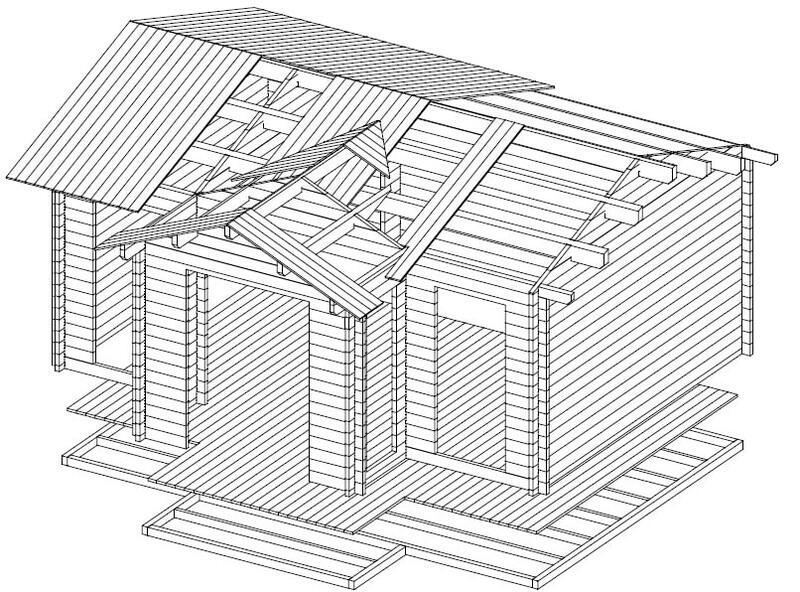 Number of windows: 2 (opening) 0,79 x 1,79 m + 2 (fixed) 0,51 x 1,79 m.